Date of Birth / Age / Birthday 26th May, 1980. As of 2019, Her age is around 39 years. Girlfriend / Marriage & Wedding / Wife / Girlfriend Married to Kedar Vaidya. Pallavi Vaidya is a popular actress working in Marathi/Hindi film industry from Mumbai. She is the Daughter of Balkrishna Bhave & Archana Bhave. 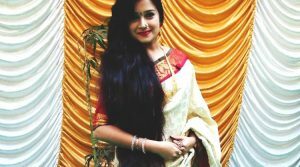 She is the younger sister of Purnima Talwalkar. 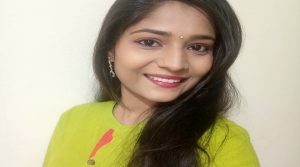 Purnima Talwalkar is a well-known actress from Zee Marathi Serial ‘Honar Sun Me Hya Gharchi’. 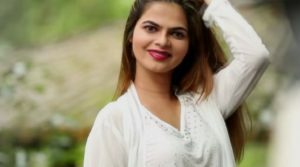 Her full name is Pallavi Kedar Vaidya and her height is around 5 feet 5 inches. Her Husband Kedar Vaidya is director known for his works in Marathi TV industry. Athang Vaidya is a son of Pallavi Vaidya and Kedar Vaidya. She completed her schooling from I.E.S. GIRLS SCHOOL NO. 2, DADAR, MUMBAI. She completed her graduation from Guru Nanak Khalsa College of Arts, Science & Commerce. She has acted in many Plays, TV shows, and Movies. 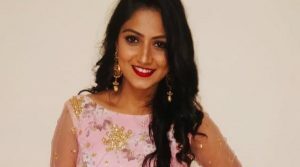 She got the recognition from Zee Marathi serial Swarajya Rakshak Sambhaji as ‘Putalabai’. Recently she was awarded Rajmata Chhatrapati Shivaji Bhosale Art Gaurav Award. She likes to hear music in spare time.